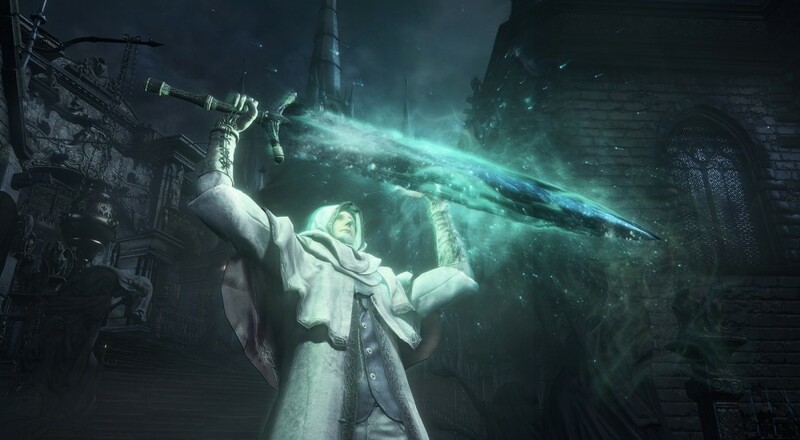 One of the key selling points of Bloodborne's DLC, The Old Hunters, was the addition of new weapons, which is both a good and bad thing. It's nice that the new weapons offer players more choices in what to use - as well as making some builds more viable - but the ability to max out those weapons was limited as the item needed to do so could only be acquired once per playthrough. Until now. The latest game update, 1.09, has added the Blood Rock to the list of items available in the Insight Shop, the special messenger shop found in the Hunter's Dream where players may spend Insight for goods. The cost for this rare item is hefty (60 insight), though anyone who is still playing the game at this point likely has quite a few items in their possession to help them acquire more Insight. There's also the possibility of defeating bosses in Chalice Dungeons for more. In addition to that nice little update, the cost of the Bloodstone Chunk (the item needed to upgrade a weapon from level seven through nine) has been reduced to 20 insight. Personally, I can't think of a better way to spend the holidays than by slaughtering unholy terrors.